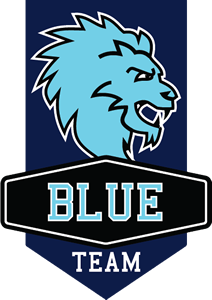 Blue Team is a defensive team, the task of which is to protect its own infrastructure from hacker attacks, while accepting responsibility for maintaining availability and security of services, which are crucial in a given training. Red Team is a team attacking Blue Team infrastructure. Red Team i san offensive team of cyber security experts. Various hacking attacks made by the Red Team are very unique and complex in nature. by Red Team specialists. Blue Team members acquire new skills in cyber defence. The training infrastructure is prepared by the Red Team in line with the delivered specification and secured by the Blue Team before the training starts. During this training, Blue Team members test their skills in detecting cyberattacks. and learn to respond to them. The training infrastructure entrusted with the Blue Team undergoes an APT attack (Advanced Persistent Threat). the APT attack and reconstructing the infrastructure. Practical cyber security training with the use of developed infrastructure and real threats. CDeX facilitates selecting appropriate scenarios, adequate for the envisaged purposes. CDeX platform is a real and developed working environment with a possibility to excercise within unlimited infrastructure. A new training, based on a purpose defined on the CDeX platform, starts automatically after selecting appropriate options and defining configuration parameters. Training on the CDeX platform facilitates acquiring unique competence in a short period of time. During training, effectiveness of the adopted strategy is verified on current basis, it is also reflected in the final report. The gamification elements introduced to CDeX: competition, achievable challenges and a unique scoring system, increase involvement and remembrance and facilitate learning. The formula of CDeX training naturally develops cognition needs, integration, communication and co-operation of team members. Scoring on the CDeX platform reflects real organisation gains following from the adopted solutions and cyber security levels. There are errors in the form. Correct errors in marked areas and try to send again.